FAQ – EpicGenetics' FM/a® Test is FDA-compliant and has successfully diagnosed patients with fibromyalgia since 2012. What is the FM/a Test? 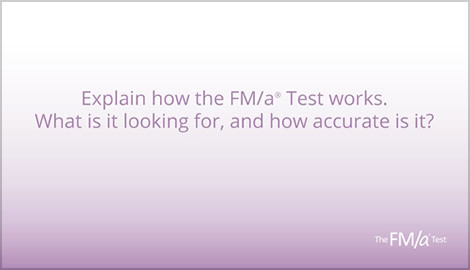 Explain how the FM/a® Test works. What is it looking for, and how accurate is it? How do I get the FM/a® Test, and does the insurance cover it? Why hasn’t my doctor told me about this test? How long after getting a flu shot do I have to wait to take the test? What about the medications I take? 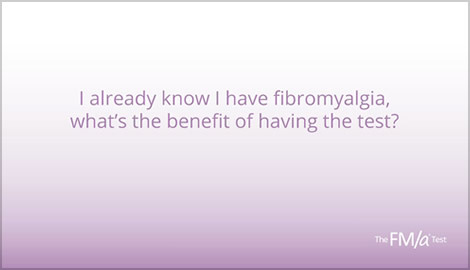 I already know I have fibromyalgia, what’s the benefit of having the test? Is there a direct treatment for fibromyalgia? 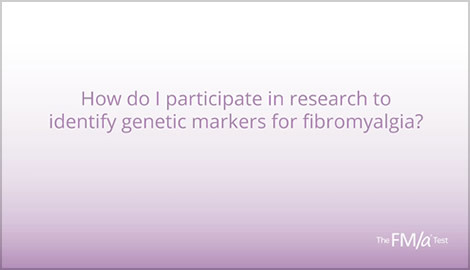 How do I participate in research to identify genetic markers for fibromyalgia? 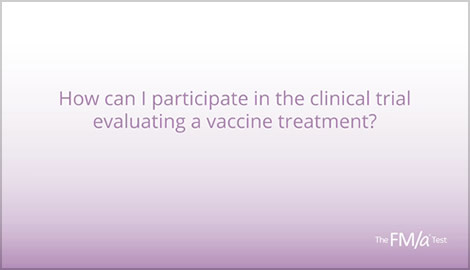 How can I participate in the clinical trial evaluating a vaccine medication treatment? 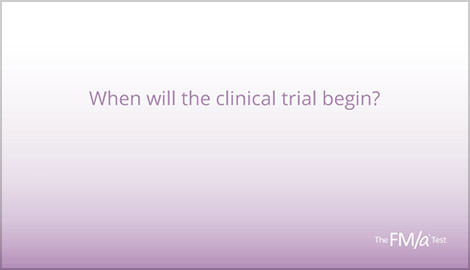 When will the clinical trial begin? 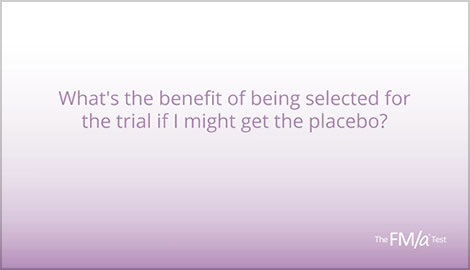 What’s the benefit of being selected for the trial if I might get the placebo? 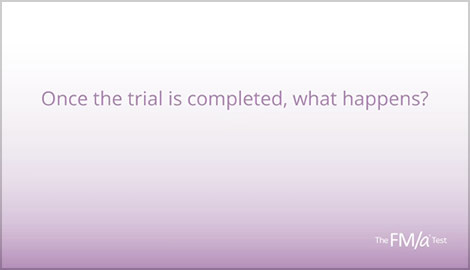 Once the trial is completed, what happens? What is the FM/a® Test? The FM/a® Test is a Laboratory-Developed Test (LDT) that was created — and is performed — in a CLIA certified laboratory. The test complies with FDA regulation (21CFR 866.5700) for a serum immunological test system and is covered by Medicare and most insurance companies. Who should consider the FM/a® Test? Those who have previously been diagnosed with fibromyalgia may want to have the test to ensure that your original diagnosis was accurate. Also, only recent FM/a® Test positive patients may choose to participate in Campaign 250 to see if they might have the genetic markers that led to their FM and/or opt to become a candidate for the vaccine medication, direct-therapy study which is being developed in cooperation with the Faustman Laboratory at the Massachusetts General Hospital. Fibromyalgia strikes women and men, adults and children—it has no single or unique targets. If you have the chronic symptoms of fibromyalgia, you should consider yourself to be a potential test candidate. The test is meant to confirm the suspicion of you and/or your healthcare professionals that you have fibromyalgia or rule out fibromyalgia as the cause of your symptoms. Are there any risks to taking the test? 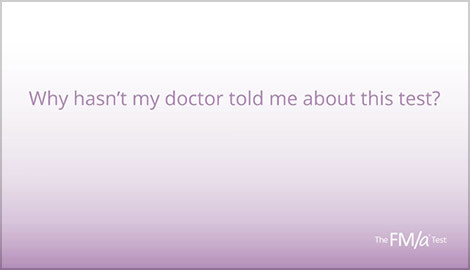 The FM/a® Test is drawn like any other blood test. It only takes minutes to obtain the small amount of blood (less than an ounce) that is required. Like any blood test, it should cause minimal discomfort. However, if you are on any medications at the time of the test, be sure you inform EpicGenetics as some prescription and over-the-counter medications and supplements may interfere with the FM/a® Test. Can I seek insurance reimbursement? Growing numbers of patients are getting 100% insurance coverage for the cost of the FM/a® Test. If you would like assistance with coverage through your insurance provider, please contact our patient support team. Some patients may be responsible for an insurance deductible or co-insurance requirement. You can have your blood drawn for the FM/a® Test at your healthcare provider’s office. An FM/a® Test kit with everything a medical professional needs to take the quick, simple blood test will be sent directly to the professional who will draw your blood. Your blood samples must be shipped overnight via our no-charge FedEx envelope to our laboratory in Los Angeles. Because the sample must be returned within 24 hours, your blood must be drawn between Monday and Thursday. The results are sent per HIPAA rules and regulations in a confidential manner — via fax, and/or mail to your authorized healthcare practitioner. Test results are typically provided in seven–ten days, often sooner. What steps are required to have the test? Before undergoing the test, patients must temporarily stop taking any medications and supplements that could block their immune system from revealing its fibromyalgia markers. These medications include those taken by prescription, without a prescription, or over-the-counter. Examples include steroid medications, anti-cancer medications, anti-transplant rejection medications, SINGULAIR® and tumeric. Use of such drugs while taking the FM/a® Test could result in a false negative test, thereby rendering the test ineffective. Contact EpicGenetics about medications you are taking. While there are no other special pre-test considerations, you must obtain approval from your medical practitioner before stopping any medications you are currently taking. Use of immunosuppressive medications should be discontinued two weeks before having the FM/a® Test but NEVER stop taking any medication without first getting written authorization from your healthcare provider. What else can affect my test results? Your blood test must arrive at the EpicGenetics laboratory within 24 hours, so, at no additional cost to you, the test specimen will be sent via Federal Express. In extreme weather conditions, sometimes Federal Express is unable to complete the transport of your specimen in that 24-hour window. Should that occur, thereby requiring a replacement specimen, EpicGenetics will cover 100% of the additional shipping cost (excluding travel, meal, and lodging costs if any). Can my doctor's laboratory perform the test? The FM/a® Test requires extreme precision and familiarity with analyzing immunologic markers. EpicGenetics employs medical specialists, immunologists and the advanced scientific equipment required to perform your test. EpicGenetics does offer a license to other laboratories that meet our standards. EpicGenetics has filed for the exclusive U.S. and international patent rights to this test methodology. 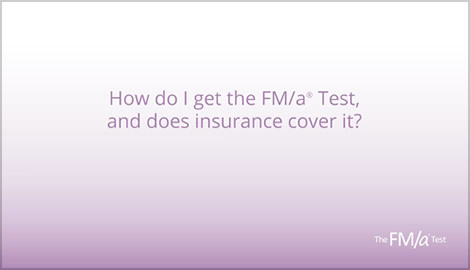 I don’t live in the U.S., can I still get the FM/a® Test? Yes, the FM/a® Test is available in Canada, Europe, Turkey, Mexico, Central and South America, the Caribbean, Hong Kong, Australia and New Zealand in addition to virtually every state in the United States. Outside the areas listed? Give us a call at 310.268.1001, we may be able to help! Is there an effective therapy for fibromyalgia? The FM/a® Test is the first breakthrough in diagnosing FM. The Faustman Laboratory at the Massachusetts General Hospital has received a research gift to design a study to test the BCG vaccine as a potential vaccine medication for this medical disorder. Learn more about Campaign 250. Campaign 250 represents the largest and most ambitious study to investigate fibromyalgia’s genetic origins, as well as develop a treatment protocol addressing the underlying biology of the disease. Under contract with researchers from both UCLA* and the University of Illinois College of Medicine Chicago, Campaign 250 will conduct Whole-Exome genetic testing on up to 250,000 patients who have received a positive FM/a® fibromyalgia diagnosis. All direct testing costs will be covered by EpicGenetics**. 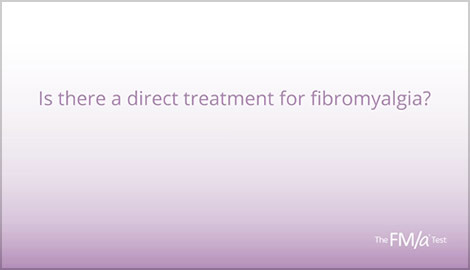 Based upon the findings of this testing and once treatment protocols have received regulatory and institutional approvals, any patient who has received a positive FM/a® Test result may elect to participate in a fibromyalgia-specific vaccine medication clinical trial. The vaccine medication trial will be conducted by Dr. Denise Faustman at the Massachusetts General Hospital/Harvard School of Medicine and will seek to alleviate fibromyalgia-related symptoms. The goal is nothing short of ambitious—together we’re endeavoring to effectively change the understanding of fibromyalgia’s cause and develop a vaccine medication that finally acts upon that cause, rather than simply masking the symptoms. **Only patients who receive a positive FM/a® Test result may elect to participate in the voluntary genetic study. Participants are required to sign an Institutional Review Board (IRB) approved consent and provide a related blood specimen of under one-half ounce. A registration fee of $45 will apply. Based upon the findings of the genetic testing and once treatment protocols have received regulatory and institutional approvals, any patient who has received a positive FM/a® Test result may at their discretion elect to participate in a fibromyalgia-specific vaccine clinical trial conducted by Dr. Denise Faustman at the Massachusetts General Hospital/Harvard School of Medicine. Will EpicGenetics receive compensation in connection with the vaccine or its administration? EpicGenetics’ focus is on testing that provides certainty for those who suffer with fibromyalgia. The planned vaccine medication trial is occurring under the auspices of the Massachusetts General Hospital. EpicGenetics is not receiving any compensation from the Massachusetts Hospital nor are patients paying a medication fee to EpicGenetics. © Copyright 2013- by EpicGenetics, Inc. All Rights Reserved.